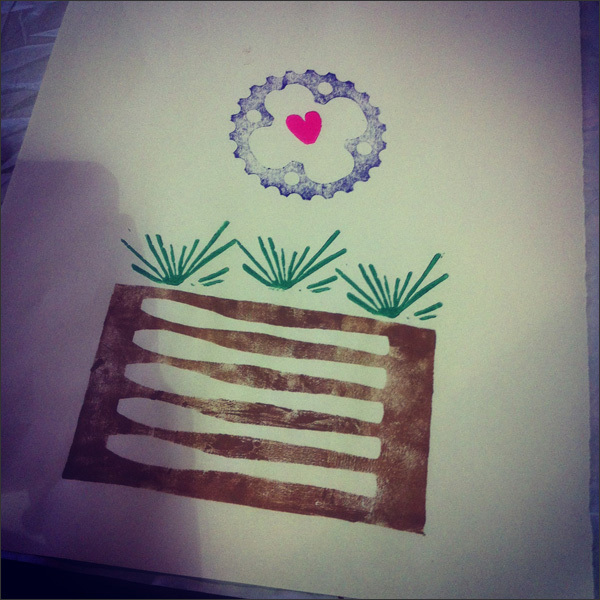 This week I went to the Papergirl Vancouver printprinting workshop, 'What Moves You'. It was a free event at the Roundhouse Community Centre. Not only do I love Papergirl Vancouver but the Roundhouse Community Centre is my FAV community centre in Vancouver. That's where I took my woodworking course plus a Papergirl Vancouver card making workshop. 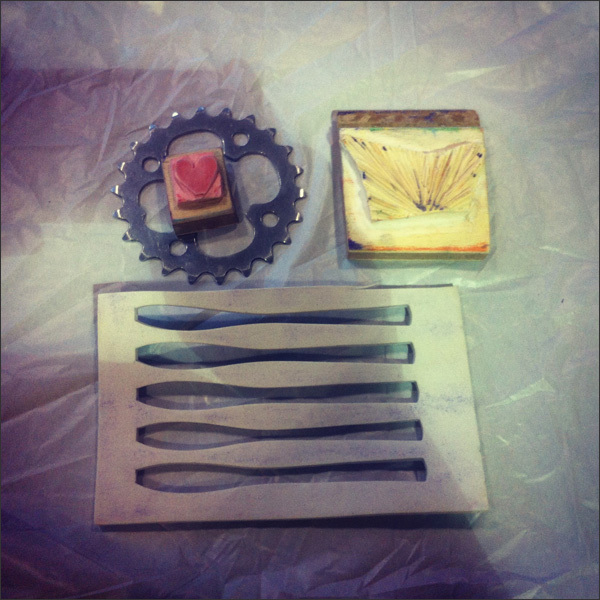 We used upcycled materials and hand-crafted blocks to create our own unique art pieces while learning the basics of printmaking and design. It was super fun! And here's my final piece... It's raining bike wheels. 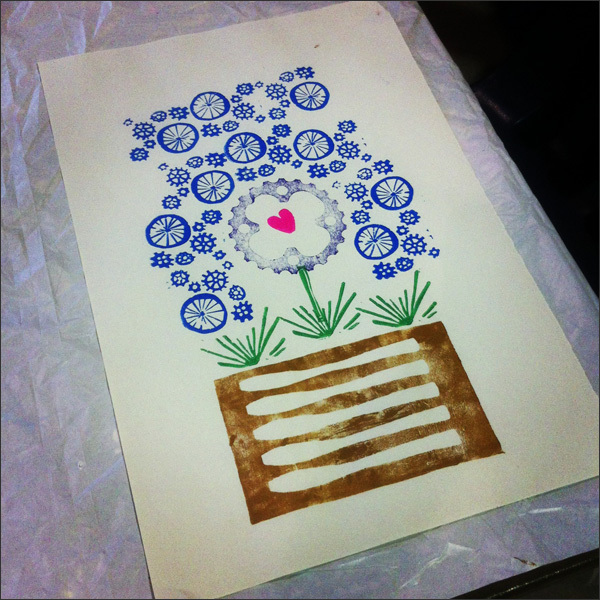 I created a few prints then donated a couple to Papergirl Vancouver. This print will hopefully find a happy home! 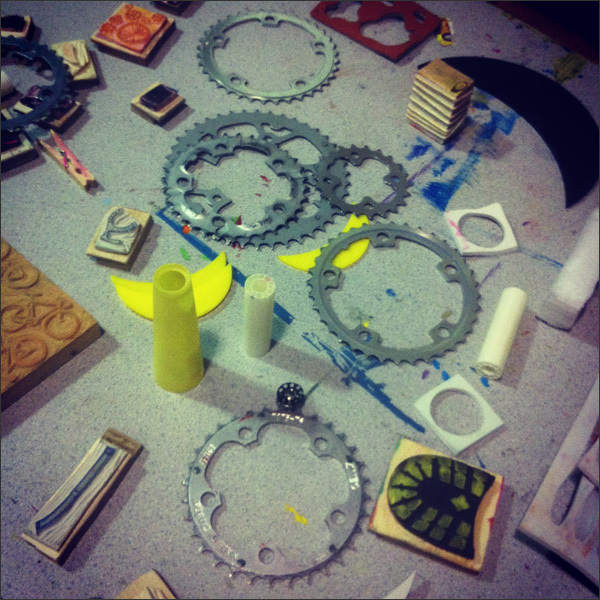 Papergirl Vancouver will be hosting more workshops so definitely sign up if you can. 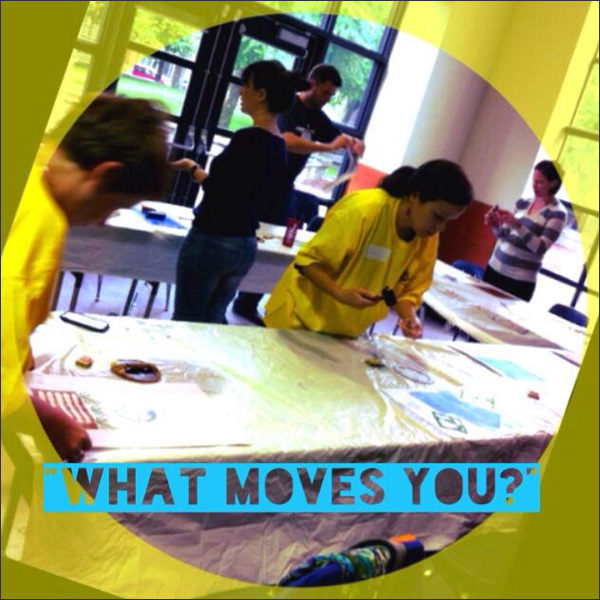 There's another 'What Moves You' workshop on July 4 at the Roundhouse Community Centre. Visit www.papergirlvancouver.com for more info.